Last into the tank are Ashley Thompson and Kat Thomass of Mush, seeking $300,000 for 10 percent equity. offers healthy, ready-to-eat oatmeal packs. 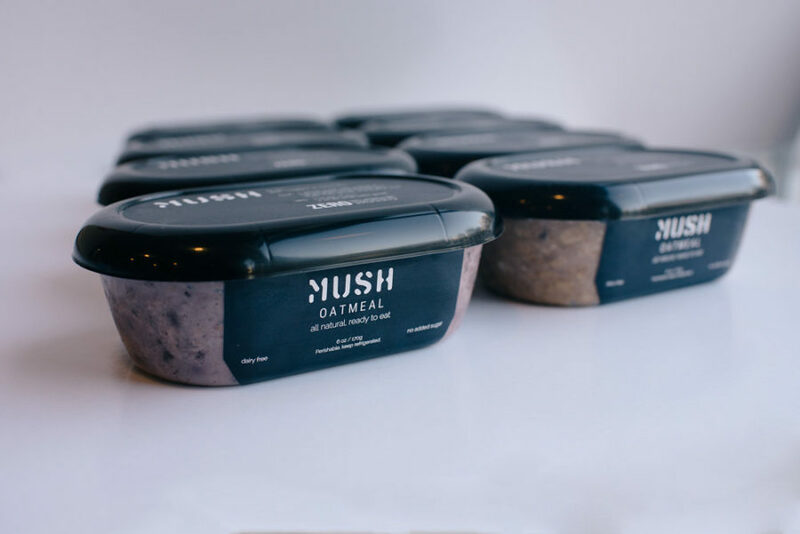 According to their website, their “overnight oats are never cooked” and are “cold-soaked to perfection.” The flavor pods, which come in a pack of eight, include wild blueberry, apple crisp, dark cacao and vanilla bean. The packs cost $39.99. In two years, they have done $190,000 in sales. Guest shark Rohan Oza thinks the packaging needs to be made smaller to both lower costs and bridge the snacking gap. Robert Herjavec loves their mission, but hates how much money the food industry requires. He goes out. Oza offers $400,000 for 20 percent, causing Lori Greiner to go out. Mark Cuban then jumps in with an offer of $300,000 for 10 percent with an unlimited line of credit. Barbara Corcoran also offers $300,000 for 10 percent with an unlimited line of credit. Ultimately, the duo accepts Cuban’s offer. Like the idea for breakfast. I’ve read every label on the single serve oatmeals in the grocery; no matter how “natural”, they all have sugar. This fills the gap. That weird shape on their sign needs some work, tho. Oatmeal is the easiest thing to make and doctor up how you like it. No way it’s worth $4 a cup. if you’re going to sell Mush, I’d target airports. That is one place where I would pay $4.00 and I can’t bring my own. Why would you name a food product “mush”?? I love these super smart on tonight! is a great idea, would totally buy this. “Shark Tank,” which is based on “Dragons’ Den,” is produced by Mark Burnett and first debuted in 2009. To date, the sharks have invested more than in various companies after engaging in numerous bidding wars and shark fights. A new episode airs each Sunday at 9 p.m. on ABC. Would you try Mush? Sound off in the comments section below!